Rather than pile up my daily photos whenever I forget to post them, I’ll just post them one at a time and build up a stream of photos. I haven’t been in much a textual blogging mood recently. Perhaps that’ll return eventually. 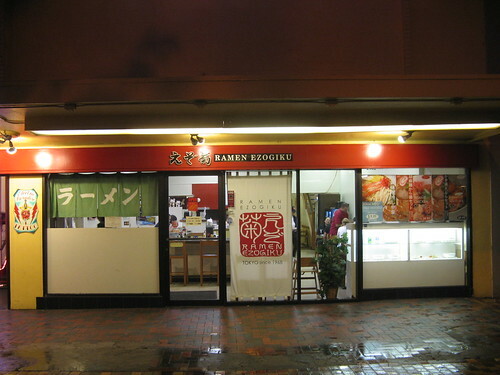 Whenever I’m in Oahu, I love eating at this ramen joint. If your only experience of ramen is cup o’ noodles, you haven’t had real ramen. Check it out next time you’re in a heavy Japanese neighborhood. This place has good price and service and the food is pretty filling – especially if you get the rice and dumplings.